“Employee Labels” allow you to SET a safety standard. Once set, mySafetyAssistant will TRAIN your employees to the standard that you set. Login as a WebAdmin and click on the Employees section where you will see a Labels tab. Click on Add New Label, enter your new label name, and save by clicking on the check mark. Your label has been added to the label list and you can access its details by clicking on it. You should currently be in the Employees section of the label you just created. Click on the Add Employees button to open a list of all of your employees. Click the confirm button to assign them to the label. From the labels detail view, click on the My SMS Documents tab. All documents listed are already assigned to the employees in the label group. Click on Add Documents to bring up a list of your available documents. Select all the documents you want to be assigned to the employees that are associated to the label. You can select documents from different groups at the same time. Click confirm and the documents are assigned to employees associated to the label. From the labels detail view, click on the Online Training Courses tab to see a list of courses associated to a label. All courses listed are already assigned to the employees in the label group. Click on Add Courses to bring up a list of your available courses. Select all the courses you want to be assigned to your employees. Click confirm and courses are assigned to the employees associated with the label. Depending on the number of employees and courses selected, this step could take some time. Feel free to navigate away, but rest assured we are assigning courses in the background for you! Employees added to an existing label will automatically be assigned all documents & courses associated with it. They will not be re-assigned courses that the employee already had assigned. 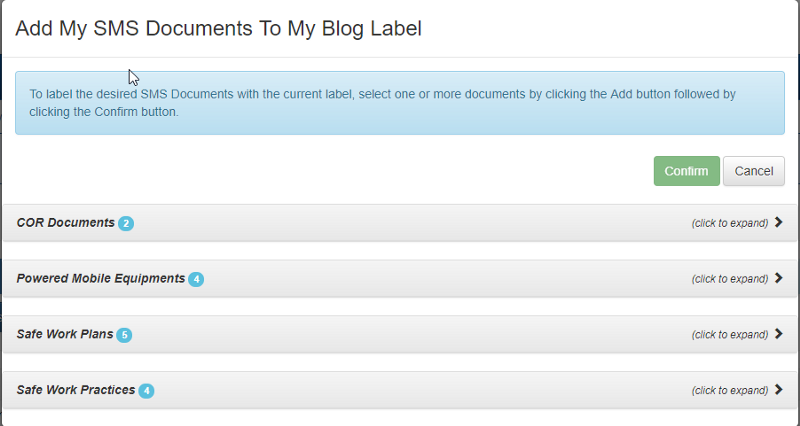 Removing an employee from a label will automatically remove documents & courses which were assigned to them via labels. If you unpublish a document, it will be removed from the label and will no longer be assigned to the users.